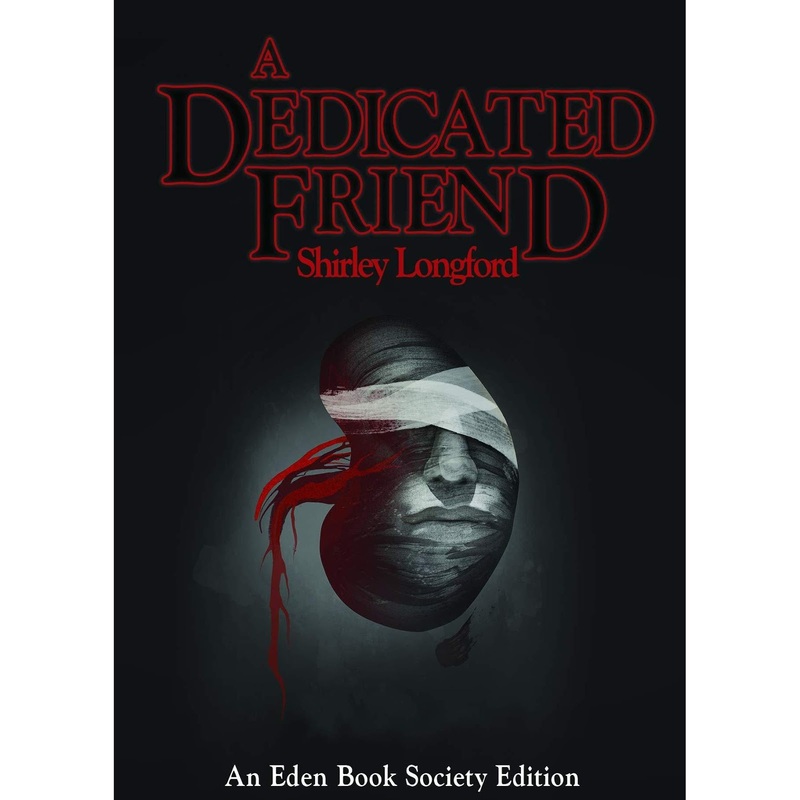 Shirley Longford's "A Dedicated Friend"
The “Eden Book Society” series published by Dead Ink Press reaches its third instalment with A Dedicated Friend, purportedly written in the 1970s by the little-known author Shirley Longford. “Purportedly” because, as I have had the occasion to explain in my review of Judderman, the Eden Book Society project is based on an intriguing meta-fictional frame narrative. The “Society” is, itself, part of this overarching story, an imaginary publishing house allegedly set up in 1919, which used to issue horror novellas for a private list of subscribers. 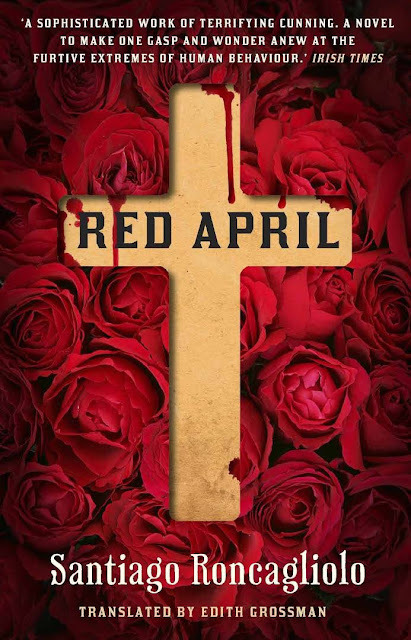 The books in the series have, in reality, been commissioned by Dead Ink Press from leading contemporary British horror writers: Andrew Michael Hurley, Alison Moore, Aliya Whiteley, Jenn Ashworth and Richard V Hirst, Sam Mills and Gary Budden. However, they’re being published as if they are part of the back catalogue of the Eden Book Society, a reprint of novellas originally issued in 1972. This poses an intriguing narrative challenge for the commissioned writers, who are faced with the daunting task of recreating the style of 70s horror novels and evoking the atmosphere of the decade, whilst remaining relevant to present-day readers with contemporary sensibilities. What is also becoming evident as we reach midway in this “year of horror” (and may there be many more! ), is that despite what appear to be strict stylistic parameters, the novellas take an unexpectedly varied approach. Holt House, the first instalment in the series, combined folk and existential horror, whilst its follow-up Judderman was a dark piece of “London Gothic” – urban noir underpinned by a Gary-Buddenesque fascination with Deep Time. A Dedicated Friend is a weird little beast. Of the three novellas it is the most understated, and certainly the one with the least “supernatural” (for want of a better word) overtones. It is also, possibly, the most unsettling. The story starts with Daisy being admitted to hospital after volunteering to donate a kidney to her aunt. In the 70s, organ transplants were still innovative – and relatively risky – operations and this already gives the novella a certain frisson. Things get weirder, however, when Daisy, eager to return home after the operation, is kept on at the hospital for reasons which are at best vague, at worst worrying. In the meantime, her old childhood friend Eliza takes it upon herself to turn up at the hospital on a daily basis, bringing news about Daisy’s husband and children, who always seem to have a good excuse not to visit. What I particularly like about this series is that its horror is less of the gory type and more of a subtler ‘psychological’ nature. A Dedicated Friend is a perfect example. Whilst it has some elements of body horror, what really gnaws at you as the pages progress is a growing sense of dread, hopelessness and claustrophobia. The novella is particularly well-judged in its attention to little details which make it more credible. For instance, I liked the ingenious way in which the author fills us in about Daisy’s family life, despite the fact that all the action takes place within the hospital walls. “Sensitive” young Alfie is particularly well-drawn even though he never actually appears in the story. The playful biography of Shirley Longford at the start of the book tells us that this obscure writer cut her teeth on children’s books and that, even after she turned to horror, “she hoped to write romances for Mills & Boon”. On finishing the novella, these biographical details take on a new significance: The Dedicated Friend may be a horror novella, but it also uses its protagonist’s relationship with her husband and children to probe the fragility of familial ties. Is the Eden Book Society project the best thing happening in horror right now? Based on what I’ve read so far, I’d be ready to put my money on it. Mainly a book blog, occasionally featuring poetry and short fiction. I will often suggest suitable music to complement your reading.